Gold purity is broken up into karats, or carats outside North America. Solid gold is 24 karats and is usually mixed with alloys (other metals) for varieties in color, strength and cost. For jewelry it's combined with silver and copper, nickel has mostly been phased out because of it's toxicity. One karat (often stamped "K" or "KT") stands for 1/24th gold, so one can figure out the percentage of gold in a piece by dividing the karat by 24. Different manufacturers use slightly different alloy mixtures, leading to tiny variations in the colors of the final product. While the amount of gold in the mixture is strictly regulated and the colors (yellow, rose, green, white) are relatively standardized, one might find a 14k yellow gold ring looks more silver-toned than another. The only difference in quality between the two rings would be if one had a higher quality alloy mixed in, like platinum or palladium. Pure gold, solid gold, Au on the Periodic Table of Elements. Known to be 99.99% pure. Since it's such a soft (malleable) material it is only used in jewelry applications in electroplating onto other metals. Being a noble metal it is extremely non-reactive and therefore does not tarnish. The largest quantities of pure gold are in coins and bars but is also used in electronic and medical devices because of it's unparalleled thermal and electrical conductivity rate. Its softness makes it extremely ductile and able to be hammered so thin it's almost transparent. Pure gold is always the same color as there are no alloys. There is only 24K yellow gold, no rose, white, etc. It's deep, vibrant yellow sheen lasts indefinitely because of it's reflectivity properties. Gold is a rare mineral, hence it's high value. It estimated that the total amount ever mined is only 125,000 tons. 3 pieces of native, pure, gold. The top piece is from the Washington mining district, California, and the bottom two are from Victoria, Australia. The bottom 2 pieces illustrate octahedral formations. The photos were taken at the Natural History Museum in London. 22 parts gold mixed with 2 parts of alloy metals. It is the highest karat used to make jewelry and therefore the most expensive. It maintains the color and anti-corrosion properties of pure gold. 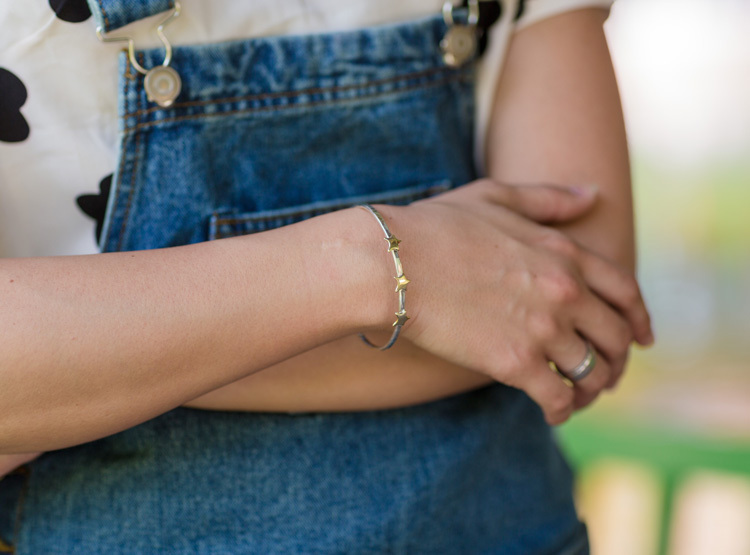 The 8.33 percent of alloy metals mixed into the gold adds durability, but is still quite soft and therefore not the best choice for using with diamonds or heavily studded jewelry. It has a long history in Asia and the Middle East where jewelry is also used as in investment. India in particular has a long history of intricate gold work in 22K. Medium: Rock crystal, inlaid with gold wire, rubies, and emeralds, with gold collar, stopper, and foot. 18 parts gold mixed with 6 parts of alloy metals. The percentage of alloys in 18K make it strong enough to use with diamonds and studded jewelry. Although it is a duller yellow than 22 and 24K, it is still a very vibrant yellow, making it a great balance between strength, color and resistance to tarnish. Though the highest karat version of rose gold, also known as crown gold, is 22 karat,18 karat is generally the highest karat you see rose, white, and green golds since it has enough alloy metals to see the colors. Used world wide, especially in Asia, it is a great choice for engagement and wedding bands as it has a high gold content combined with the strength of 25% alloy metals. This makes it physically harder for jewelers to work with than higher karats, but still ductile enough to manipulate. Antique Cartier18K Yellow Gold Victorian Signet Ring. Source. 14 parts gold mixed with 10 parts of alloy metals. 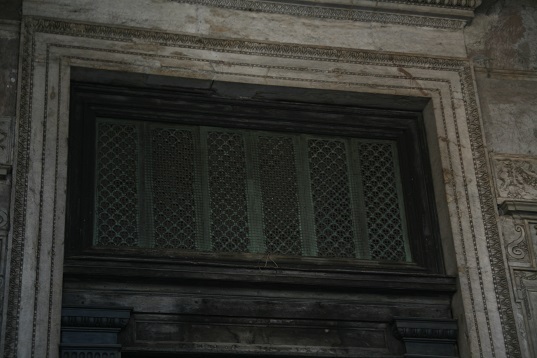 The increase in alloys makes it stronger than 18K, a lighter yellow, and a stronger rose, green and white color. 14K is where tarnishing starts to happen so pieces should be wrapped or in a air-tight bag when not in use. Popular in the UK and and the US and it is more affordable than 18K and higher. Antique 14K yellow gold and enamel pocket watch. Source. 10 parts gold mixed with 14 parts of alloy metals. Since this karat is more alloy than gold it is extremely hard, and tarnishes the most (not including 9K). It is the minimum standard to be called gold in the US. This is a good option for those with industrious jobs working with their hands. Commonly used in the UK and the US. It's is more of a challenge for a jeweler to work with not only because of it's physical strength and increased tarnishing, but when heating the high amounts of alloy metals rise to the surface and change the color of the piece. Jewelers have to take this into consideration as lots of metalsmithing techniques involve heat. Antique 10K gold cuff links. Source. 9 parts gold mixed with 15 parts of alloy metals. Countries outside the US will sometimes call this gold, but it is not commonly used. While uncommonly worked with today, it is popular in Ireland. It's pale yellow gives it a different look and is even stronger than 10K. It is used in the dental field. Antique Victorian 9k gold engraved tapestry pattern cigar band. Source. Mokume-gane is a japanese technique using a variety of metals to create what is called a wood-grain effect. Usually just the mark of fineness of precious metals. Most countries require that the type of metal of a piece be stamped with it's corresponding symbol that varies from country to country. A handful of countries require the hallmark to included the maker's mark of the company where the piece was made in addition to the stamp denoting the type of metal. Also, some countries will have their own stamp to be used with the maker's mark and quality stamps. Not only do hallmarks vary from country to country, but from the time of purchase, a helpful clue when trying to identify the date of an antique piece of jewelry. While there are regulations in most countries about hallmarking jewelry, some antique and handmade pieces are occasionally without. While one should always be cautious when buying jewelry, this does not necessarily mean that a piece is not what it is being sold as, just that you should inquire about the specifics and possibly do an assay. Additionally, small jewelry is often unable to be stamped. A piece needs a solid area of 1.25mm by 2.25mm or more to fit just the metal fineness stamp, so a delicate ring or earring stud just can't fit it, unfortunately. Basic modern markings for gold karats. Lots of countries have symbols instead of numbers to stamp the gold quality. Maker's mark and gold quality stamps on a hairpin. Source. Turquoise is a hydrated phosphate of copper and aluminium. Known by many names, the word "turquoise" is derived from the French "turques" for Turks, since the mineral was first brought to Europe from Turkey from the mines of Persia (now Iran). Found in a variety of colors, turquoise forms in a yellow-green shade if it contains Zinc, more of a green if Iron or Chrome is present, and the ever-desirable blue from the copper. The more intense the blue, the more copper there is in the specimen. In fact, turquoise is often mined with copper. While turquoise from Iran, China, Afghanistan, etc. is remarkable, we're going to focus on USA turquoise, where we get our turquoise to work with. While mostly a coal mining community, Campbell County, Virginia also produced gorgeous specimens of turquoise. It's one of the few localities to have turquoise formed in micro crystals that give it a "glittery" look, as opposed to the smooth texture turquoise usually forms as. Beautiful, rough specimen from the Bishop Mine in Campbell County, Virginia. Pre-historic tools have been found in the turquoise mines of California. In the past there were a several mines there, now it has slimmed down to a select few. In the late 1800's a company started mining here and their findings were marketed by The Himalaya Mining Company and the Toltec Gem Mining Company in NYC. Rare piece from Baker, California. Polished. Arizona produces a large quantity of turquoise, known for being of great quality. The Sleeping Beauty mine (closed since 2012) for example, is known for their bright blue turquoise. 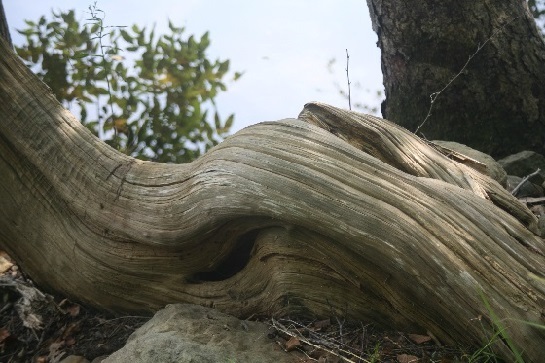 From a mountain resembling a sleeping woman comes high-quality specimens known world-wide. It's known for it's true blue color and it's consistency. Turquoise with pyrite and quartz. Sleeping beauty mine, Arizona. Currently, Nevada produces the largest volume of turquoise in the USA. The Lone Mountain mine turquoise is second only to Lander Blue in value. With lovely spider web (the most popular from this mine, when the turquoise has matrix patterns resembling a spider's web) specimens as well as clear blue, Lone Mountain has also been a source of very rare "fossil turquoise". This is when plants and/or shells, often crinoid stems, have dissolved away and left just the turquoise. Lone Mountain turquoise is also known for holding it's color for decades. There are pieces of jewelry with Lone Mountain turquoise from the 1940's still with the rich blue hue from when it was first made. 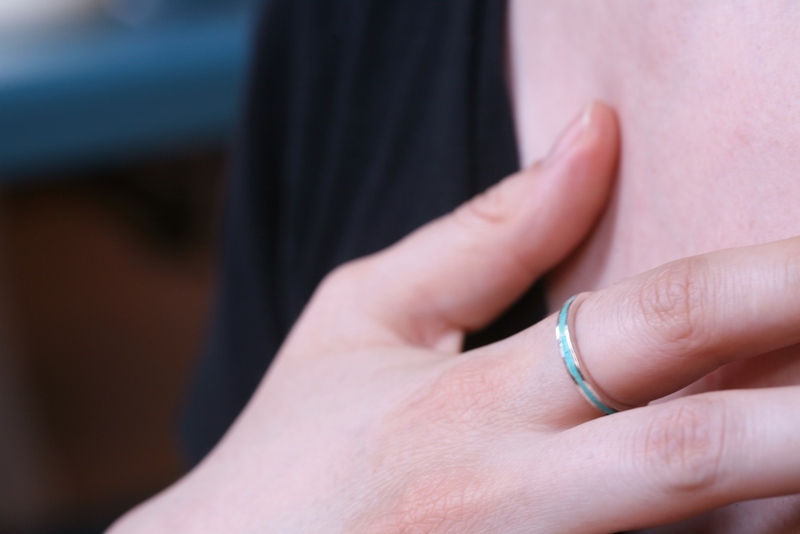 Due to being soft and porous, turquoise has been treated throughout history. The Native Americans used to rub waxes and oils to not only darken the piece, but increase it's longevity. Also, they would attach a backing of a stronger material to make it more durable. Modern techniques are basically advances on the older processes. The Zackery Method is a proprietary blend created by James E. Zachery, an electrical engineer and active trader of turquoise. The specifics of the non-toxic brew are unknown to the public, but the solution is soaked into the turquoise and once done, is undetected unless the material is smashed and the parts are subjected to analysis. The most common treatment for turquoise is "stabilizing", virtually all turquoise on the market has been treated in this way. This is when a material like epoxy is pressurized into the pores of the stone, leaving it much stronger and able to hold up to everyday wear. Since it absorbs into the pores, it doesn't have the appearance of being treated. Obviously, this process is much different from just using waxes and oils, but it also doesn't bloom like stones treated with waxes and oils do. Blooming is when the added material leaks out over time, creating a white deposit. While we like to be as natural as possible over here in the studio, we believe that making the most durable pieces to be of the utmost priority, that having jewelry last the longest is the best for the environment. We do not, however, use "Color Shot" stabilizing, where dye is added to the stabilizing material to get it closer to the the robin's egg blue we all love. All our turquoise is the natural color it was formed as. Yet even further from what the Native Americans used to do, is "reconstituted" turquoise, which has been nicknamed "stove-top" turquoise. This is when little bits of turquoise that couldn't be sold as-is are crushed up and blended with a binding agent and poured into molds and dried. From there it is cut. While it is still turquoise-based the problem lays with it being sold as solid turquoise without informing the consumer of it being a composite. Doublets are when a stone is too slim on it's own so it's glued to a stone or other material for more substance. This takes it's cue from when the Native Americans would make backings for their turquoise. Sadly, the last category isn't turquoise at all, but "block turquoise". This is completely synthetic. Again, this would not be a problem as long as the consumer was informed, but often this is not the case. Since turquoise has been mined for so long (and therefore the resources are dwindling) and is one of the most popular gems, suppliers resort to tricks to try to sell synthetic stones as real. We avoid this problem by buying straight from the miners as well as purchasing it rough so we are able to tell by the structure that it is real as well as not dyed. Check us out in the April issue of British VOGUE. It was great working with them, pleased to be in such lovely company. 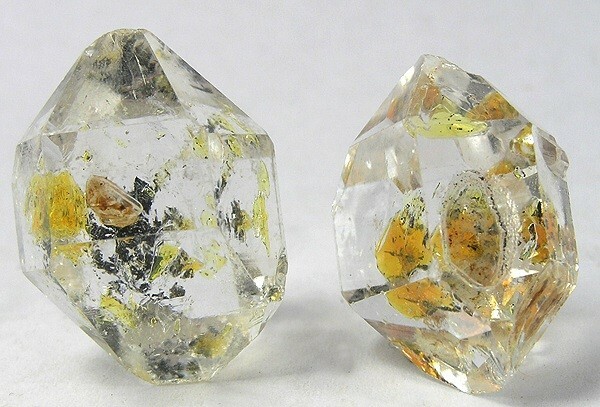 Herkimer diamonds are are specific kind of quartz mined in Herkimer County, NY. While quartz is made from Silicon Dioxide, one of the must abundant minerals in the world, these specimens got their generic title from their rare double-terminated formation that gives it quite the sparkle like real diamonds. This type of formation has two naturally faceted ends due to forming in cavities, or vugs, inside clay, free-form, as opposed to on a side of a rock. 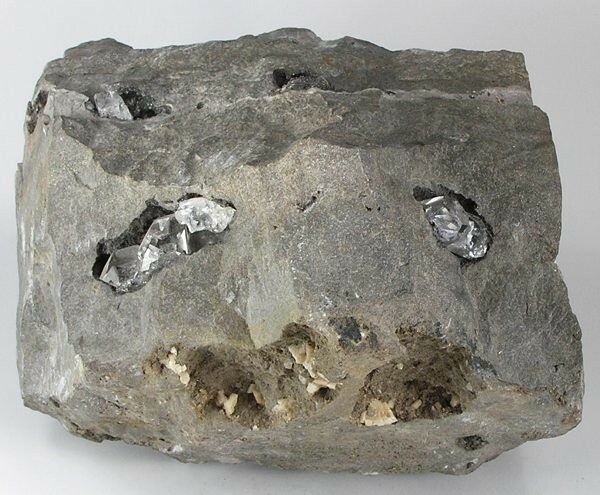 Herkimer diamonds, also called Middleville diamond or a Little Falls diamond, form inside the vugs of the Cambrian-age, Little Falls Dolostone - deposited about 500 million years ago. These cavities are frequently lined with drusy quartz crystals and often are coated with a tarry hydrocarbon. These beauties develop in fine, singles, clusters and matrix form. Though Herkimer County, New York is the location for which these crystals are named, similar crystals have been found in a other locations, including Arizona, Afghanistan, Norway, Ukraine and China, but can't quite be called "Herkimers". 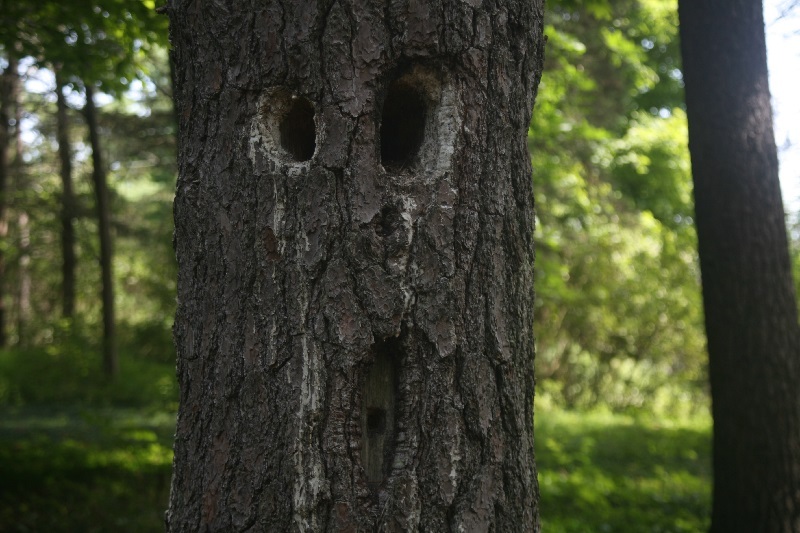 Source: Rob Lavinsky. Beautiful cluster specimen. Often totally clear, but frequently with fun inclusions. Shown below are crystals with, as well as inclusions of black bituminous, orange mineralized water inside, which make for bubbles that move as you turn the crystal around. Herkimer diamonds were discovered by The Mohawk Indians and early settlers, who found them in stream sediments and when plowing fields. Amazed by there beauty, they held them in high esteem. Then they became largely recognized after workmen discovered them in large quantities while cutting into the Mohawk River Valley dolostone in the late 18th century. Enjoyed by collectors, rock enthusiasts, and jewelers these crystals are just plain pretty. I'm excited to talk about my friend Sam Patania. A third generation jeweler, Sam is quite knowledgeable in the art of manipulating metal. The Patania family has been recognized for decades by museums, celebrities, artists, etc. for their timeless creations. Starting with Frank Patania Sr., who came from Italy to New York City when he was ten. Before this he had apprenticed with a goldsmith in the traditional European manner of first doing simple tasks, proving your worthiness to learn the skills to become a master, then learning one new task at a time where through the repetition, discipline as well as the art is taught. When Frank Sr. arrived in NYC, it was during the height of the industrial revolution when mass production of jewelry became common place. It was thought to be of superior quality to be made this way, and with making pieces by the thousands+, manufacturers resorted to "safe" designs to appeal to a broad market, revamping past trends that proved their success already and re-doing them over and over. 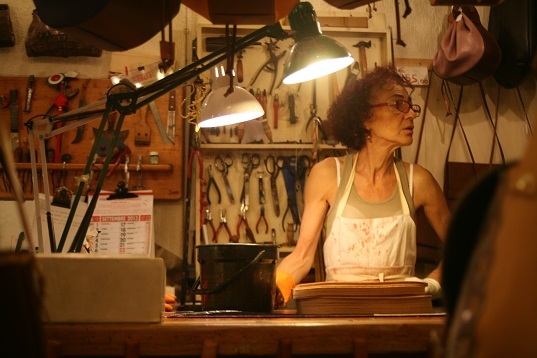 Skilled artisans making innovated works of art and custom pieces were losing work, some had to close up shop completely. So, when Frank Sr. landed a job at Goldsmith, Stern & Company, one of the largest jewelry manufacturers in New York at the time, one can assume his excitement. 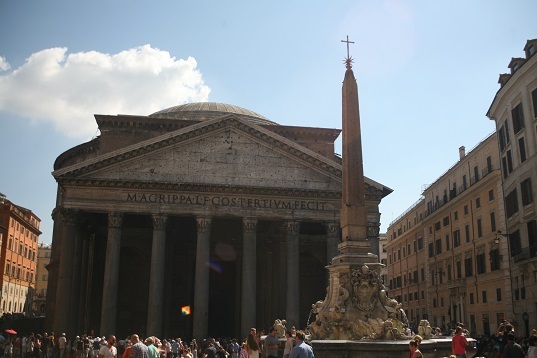 Little is known of his work made during this time, but looking at the company one can imagine he not only got to practice his skills learned in Italy, but picked up new ones as well. Eventually coming down with tuberculosis, the company sent him to Sante Fe, New Mexico to recover. Once he got there, he never went back, stating: "After my first sight of the West, I never wanted to return east again. And when I saw what the Indians were doing with silver and turquoise I knew I had found the medium in which I wanted to design." It was here that he opened up his "Thunderbird Shop" where he started making his European and Native American inspired designs, and started his family and legacy. During this time, there was a lot of tourism to the Southwest supporting the shop's work, eventually leading to the opening of another store in Tuscon, Arizona in 1937. While in Italy, Frank Sr. not only learned about combining the art of expressing your creativity with technical expertise, but the benefits of building a family business. Frank Jr. and his sisters, Joan and Sylvia, grew up in the Thunderbird shop, their mother, Aurora Masocco, also from Italy, was the store manager, helped with the concept designing and was a general source of inspiration at Thunderbird with her beautiful sense of style. Aurora's sister, Mirandi, helped out the shop from the early days on as well as Frank Sr.'s brother. Together, they made a success of their business and Frank Sr. taught his family to make the work that they wanted, not to be tempted by what the trends say will sell but what you think would look beautiful - a lesson that has followed the family since. With this encouragement, Frank Jr. started making work inspired by, but quite different from his father. Frank Jr.'s bracelet, in the permanent jewelry collection of the Renwick Gallery. In 1964 Frank Sr. past from cancer, but got to see his grandson, Sam, arrive in the world in 1961. While Frank Sr. was not around to teach him himself, Sam learned his lessons through Frank Jr. At the age of 10, Sam started his after school training in the art of handmade jewelry at the Thunderbird shop and would continue into his teens when, in true Patania fashion, he started his own path and took classes at Catalina High School where he experimented with new approaches to jewelry-making. Wanting more, he continued his studies at University of Arizona in 1988-89 under the guidance of Michael Croft. “Michael got me to design wildly different work than at the shop,” Sam said in the Tucson Museum of Arts exhibition catalog 'The Patanias: Legacy in Silver and Gold'. Clearly, Sam's talent really shines with his one-of-a-kind pieces. Growing up with access to the Tuscon Gem and Mineral show (THE gem and mineral show) every year, he formed a deep rooted knowledge of stones and only selects the best of the best for his creations. This is evident in his work, that could be said to be more modern by today's standards than previous generations of Patania's - all making pieces that have been, and will continue to be, desirable works of art. Seriously, they've accumulated to many awards to list here between the three generations. Being in charge of the Thunderbird, now titled Patania's Sterling Silver Originals, shop, Sam is always making new works of art. With a ceaseless desire to learn new things, from fashion and art jewelry, to all art, music, and everything and anything going on in the world, Sam seems to never be without new ideas and awareness of his work's place in the world. This has helped Sam not only in making important, simply beautiful, pieces but to be a levelheaded, kind person in business - evident in his love, and style, of teaching. Plus, he always knows how to find the best animal videos, which is the true test of character, of course. Inspired by everything from shapes, to materials, to thinking of the beautiful woman that will be wearing his work, to finding new ways to make the styles that his grandfather first started making decades ago, Sam takes this love of learning and applies it to carrying on the legacy of his family in new and exciting ways. As he desires to learn everything, and do everything in addition to metalsmithing, from photography, bookkeeping, marketing, buying and selling, woodworking, welding, sweeping, stone cutting, business planning, etc., he has mastered not just working with metal but running a business as well. He is definitely one I look up to not only as a jewelry maker and business owner, but as a person. The Patania heritage of making classic pieces and teaching the world about the processes it takes to get there is in good hands. Introducing the Michèle K. collection, a collaboration celebrating Michèle Kruesi's self-scribbled heart from her blog The Fashion Fraction and our signature hammered style. MIchèle looking lovely in our cuff. Picture by The Fashion Fraction. Michèle really gets my aesthetic, check out her blog for more pics! Switzerland sun suits the collection quite well if you ask me. Michèle modeling her favorite piece from the collection. It's been such a pleasure working with such a talented lady, thanks for everything Michèle! Can't even express how wonderful it is to be selling my work alongside such talented designers at the Governors Island Better Than Jam pop-up shop all Summer, across the field from where I lived in Nolan Park when I was a wee future-jeweler. This little oasis a short ferry ride away from Manhattan was a Coast Guard base back then and now houses artist residences, shops, parks, concerts and a variety of events. With their focus on supporting the amazing work of local NYC artists, Better Than Jam, a boutique around the corner from our studio in Bushwick, Brooklyn, is a perfect fit for the Island as they carry only local, handmade products. So, to wrap it up, you can check out my shiny pretties at Better Than Jam around the corner from me in Brooklyn and at their Summer shop a stone's throw away from my old house on Governors Island. Source: Better than Jam. Our rings in the bottom right. Come visit the beautiful Victorian houses and plush trees of Nolan Park and see the custom pieces that me and the other designers of Better Than Jam created just for the Island. The shop is open until September 28th: Fri/Mon 11am-5pm, Sat/Sun 10-6. Send an email to maggie@maggiefinejewelry.com indicating the item you'd like. We'll get back to you with the ฿ total and address/QR code. Once payment is confirmed (courtesy of Bitpay), we'll send you a gift card for the exact amount, and you check-out normally through the site. Easy! The gorgeous fashion publication S Moda in Spain featured us in their piece about places to visit in Bushwick, Brooklyn :). Such a well-designed article, we are so please to be a part of it. An assortment of precious metals. A rare mix of Gold, Sylvanite and Quartz from the famous Gold Hill District in Colorado. Gold from the Yuba River Placers area, Nevada County, California. Since it was unlikely to have been formed as a cast over another octahedral mineral, this specimen is believed to represent a rare phase and form in gold: octahedral hopper crystal growth. Copper and Silver from the Adventure mine, Greenland, Ontonagon County, Michigan, USA. This specimen is not called a "half-breed" because the copper and silver are not densely intermixed, but intergrown. Beautiful contrast of the iridescent copper and shiny silver which has formed crude crystals instead of the usual "lump" upon copper most half-breeds come as. A pure (>99.95%), Silver Crystal. The demand for precious metals is driven not just from being great to work with, but also by it's role as investments and a store of value. Gold and silver in particular are seen as hedges against inflation and economic downturn. A metal gets the "precious" title if it is rare - discoveries of new ore sources or improvements in mining or refining processes may cause the value of a precious metal to diminish. For example, aluminum was very expensive to mine at first and only small quantities were available, making it more valuable than gold. The dawn of accessible electricity in 1882 and the invention of the Hall–Héroult process in 1886 caused the price of aluminum to drop significantly over a short period of time. While precious metals make for great jewelry-making, using alternative materials can be quite interesting as well. Which leads to thoughts on what makes a piece of jewelry "precious"? Is it the cost of the chosen materials to make, the execution of the artists vision, or both, that makes a piece worthy to pass on as an investment to future generations? 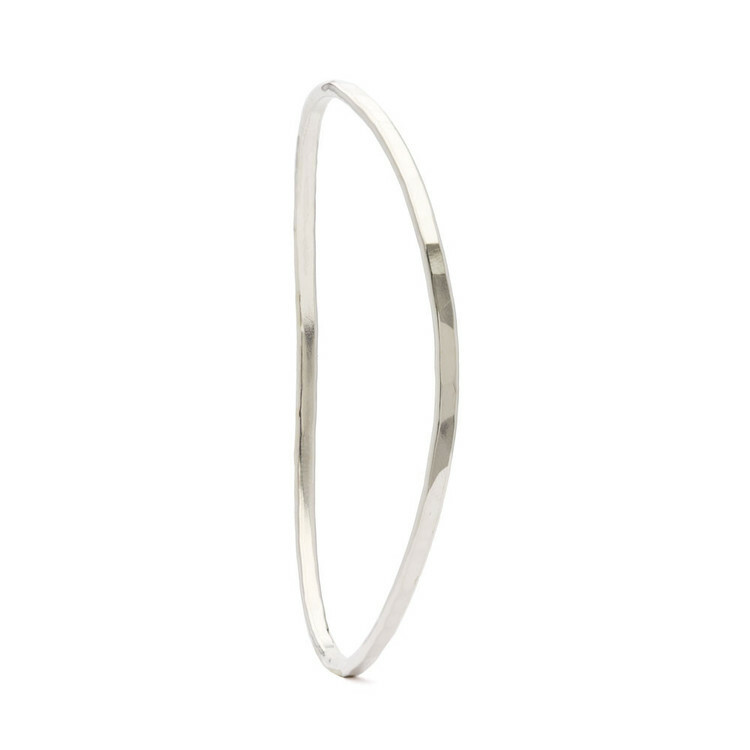 Our Silver Original Hammered Bangle was one of Katie Couric's favorite things on the January 29, 2014 episode of Katie. Each of the audience members went home with one, wrapped up all pretty-like in our signature packaging, and you can too. It was a blast to be on the show, thanks team Katie. Original Hammered Bangle in silver can be purchased here. The Definition of "Handmade Jewelry"
While the term "handmade jewelry" is used a lot to describe products, there's very specific guidelines in place by the FTC for the processes one can and can't use to be able to stake claim to this description. "According to the guidelines of the FTC, in order to be stamped or called "handmade" the work must be made solely by hand power or hand guidance. This means that jewelry may be made using drills, lathes, or other machinery, but it must be guided by the human hand. This precludes the use of punch presses, CNC machinery, and casting, to name a few processes the use of which would make the jewelry not qualify as "handmade". That's right, even if a piece is cast from a model carved by hand, since it is then produced by casting and not formed by raw materials (ie: metal wire and sheet) from hand it doesn't count. A piece of jewelry is automatically disqualified from "handmade" status if just one step isn't guided by hand, even if every other step of its process is. All of our products that say "handmade" follow these guidelines. 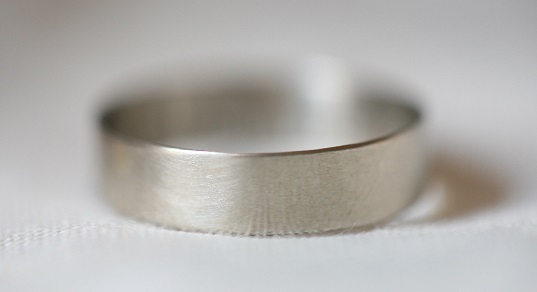 The Hammered Enamel Ring - We revamped an old design to show some more silver. Hammered by us in the studio and then enameled with lead-free vitreous glass enamel. Very comfortable to stack, and substantial enough for men to wear :). I usually throw a dainty or original hammered ring with mine. We'll have more pics with all the colors soon, check back! 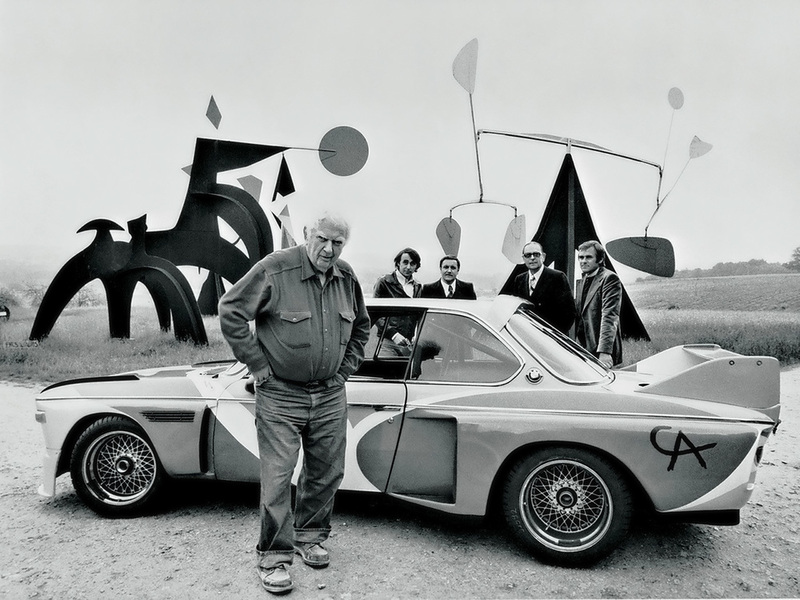 Alexander Calder (1898–1976) is one the the most influential sculptures of the 20th century. Using innovative (especially at the time) materials like sheet and wire steel he invented the "mobile" - kinetic works of art that play off each other and change aesthetics when they move, "stabiles" - static pieces, usually of monumental size, free-standing off the ground. 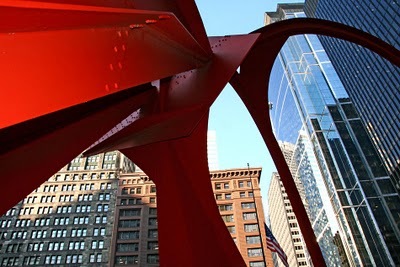 As a major contributor to abstract art, he enjoyed the effects of shapes and color (often using a bold red later coined as "Calder red") on open space. After getting a degree in mechanical engineering he had his first one-man show in New York and then traveled to Paris where he created his circus series made of wire, wood, glass and cloth. From working small-scale, he started getting bigger and more abstract with his creations, eventually making pieces like "Flamingo" in Chicago. Perhaps what started it all was: jewelry! At the age of 6, Calder was making jewelry for his sisters dolls and started carrying pliers and wire around with him everywhere. As he once put it "I think best in wire". Fabricating 1,800 unique pieces by hand during his life, his jewelry became quite popular with artists, collectors, performers, etc. For example, in 1942, Peggy Guggenheim wore one Calder earring and one by Yves Tanguy to the opening of her New York gallery, The Art of This Century, to demonstrate her equal loyalty to Surrealist and Abstract art, examples of which she displayed in separate galleries. Again, using revolutionary materials for time time: steel wire, brass, wood, and "gems" made from broken glass and porcelain, Calder is thought to have started many trends that became popular in the 60's and 70's in the 40's. Source: Whitney Museum. A piece from the Circus Series. 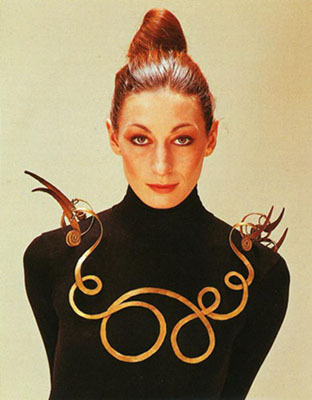 Anjelica Huston wearing a Calder necklace in 1976 (The Jealous Husband made from brass wire, c. 1940, collection Metropolitan Museum of Art). He often used humor in his art. Source: Chicago Outdoor Sculptures. The Flamingo. 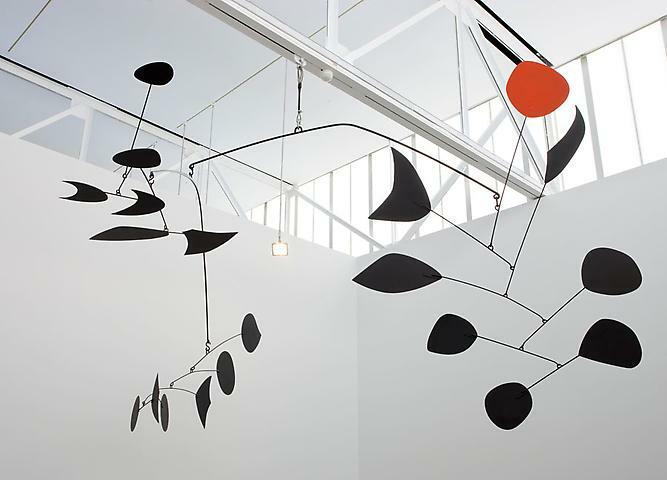 Source: Art Observed A mobile by Calder. Happy first day of Autumn. I'm never one to pick favorites, but I really, really, like Fall. The crisp in the air, the apple cider, the additional layers of clothing, not to mention the squash! 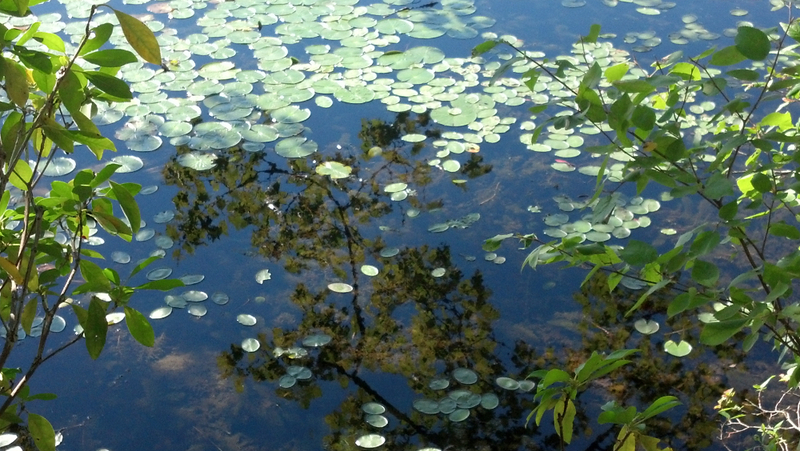 We headed out to Bear Mountain and Round Pond and got excited about the coming season. Flight between Oslo and Rome, thinking it's the Austrian Alps. So many rooftop and balcony gardens in Rome - love it! Pantheon patina :). Years in the making. 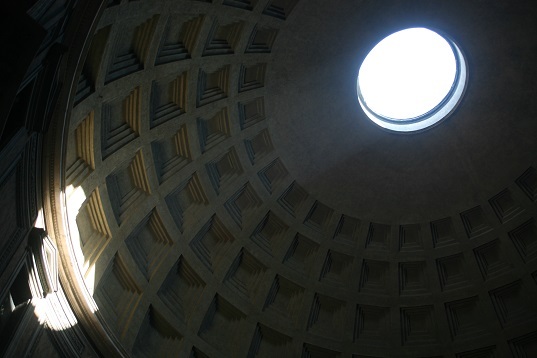 The oculus in the dome of the Pantheon provides lots of natural light. The amount of thought and skill that went into building this is incredible. 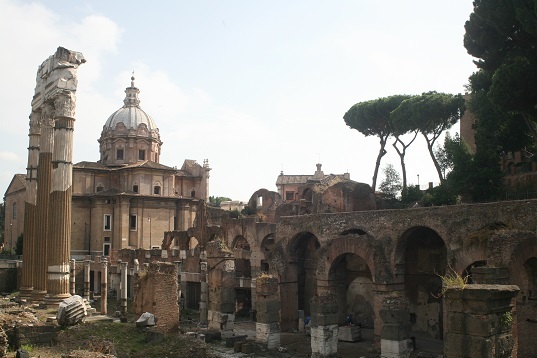 The Forum. Ancient ruins! 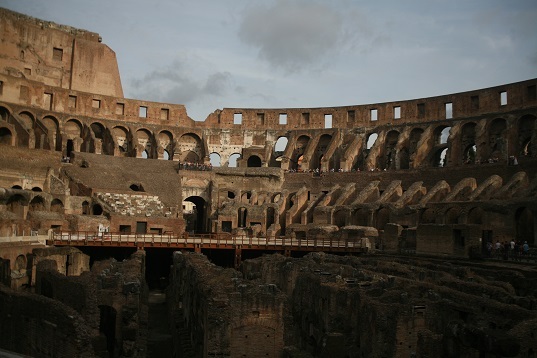 This is where people got their shopping done centuries ago. 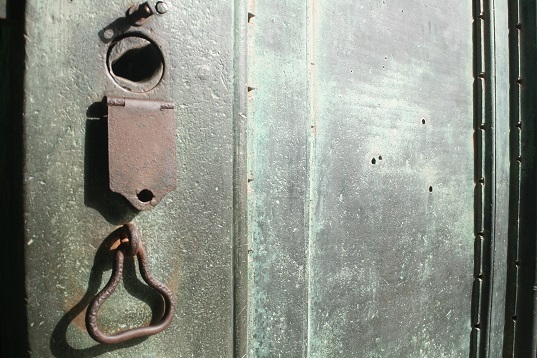 Door of the still-standing church at the Forum. Ancient patina. 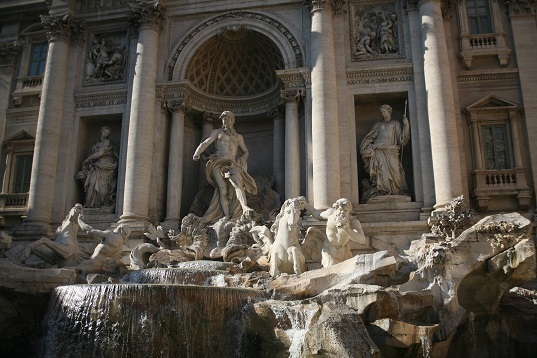 Trevi Fountain - the end of the line of "Aqua Virgo", an aqueduct constructed in 19 BC that brings water from the Salone Springs (approx 20km from Rome) to the fountains in the historic center of Rome. Fountains that are still used today to keep people hydrated! Congrats to my sister Virginia and my new brother-in-law Chris! We had the amazing experience of celebrating their union in Rome. It was a beautiful ceremony and party, with time to explore the fabulous city. Looking forward to making another post with pics from the reception at Hotel Hassler, where we had the rooftop to ourselves to enjoy views of the whole city while we danced the night away. We had an amazing time upstate last weekend in the Catskills. Stayed at a new place, had the cabin to ourselves - the property is on a lake with canoes and kayaks, field with wildflowers, and woods with the intoxicating aroma of pine. Saw deer, bunnies and the endangered Cricket Frog pictured above (no frogs were harmed in the photographing for this post). The last pic is part of the old Rosendale railroad trellis that is now open to the public. I just love antique architecture. The perfect getaway from the city! Here's a couple of our favorites from this wedding season. All made with white gold in-house. Email us for custom requests!